The island of Krakatoa wasn’t large—just three miles wide and five and a half miles long. But when its volcanic peaks exploded in August, 1883, it produced the loudest noise in recorded history. The island actually went through a series of eruptions and explosions that year, beginning in May, but the largest and final one was heard as far away as Alice Springs, Australia, 3,000 miles (4,800 kilometers) distant. Although not quite the strongest or most destructive of volcanic eruptions, it is the loudest we have documented. More than 36,000 people were killed in this eruption. About a thousand were killed by the rain of “hot ash” and debris that fell around Ketimbang on the nearby island of Sumatra. Most of the others killed were victims of the vast tsunamis caused by the eruptions. In charge of the Dutch East Indies at the time were Dutch authorities, who recorded an official death toll of 36,417, but some sources estimate the actual losses at 120,000 or more people. Many settlements on nearby islands were completely wiped out by the enormous waves. Many people who heard the sound of the explosions wished they hadn’t. Sailors on ships forty miles away, in the Sunda Strait, suffered ruptured eardrums. Thousands of miles farther off, people thought they were hearing cannons firing and the noise of a major battle. 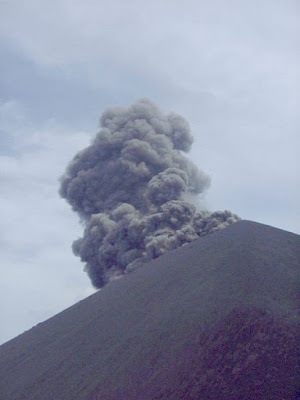 Located between the Indonesian islands of Sumatra and Java, Krakatoa had three volcanic peaks. The historic blasts obliterated two of them. The island is now about a third as large as it began that year. This was not the first seismic activity involving Krakatoa, but it was the most impressive, at least so far as is known in recorded history. On May 20, 1883, steam began venting from the northernmost of the island’s three peaks. Ash eruptions reached an estimated altitude of 20,000 feet. A few weeks later, things quieted down. On June 16, loud explosions were heard and a black cloud of smoke covered the island for several days. When winds cleared the cloud away a week or so later, two plumes of ash could be seen. These were thought to come from new vents between the cones. On August 11, a Dutch engineer paid the island a visit. He observed three major ash columns and nearly a dozen steam vents. A layer of ash about 20 inches thick covered much of the island, and all the vegetation was dead. He warned against landing on the island, and people stayed away. Things heated up, and on August 26 the climatic action began. Explosions could be heard every few minutes. About one in the afternoon, a cloud of black ash seventeen miles high could be seen from great distances. Ships in the vicinity reported heavy ash fall. Pieces of hot pumice up to four inches across landed on their decks. On August 27, four huge explosions occurred at 5:30, 6:44, 10:02, and 10:41 a.m., triggering tsunamis and throwing much of the island skyward. The one at 10:02 was the largest, and was heard in Perth, Western Australia, 1,930 miles away, and across the Indian Ocean on Rodrigues Island, near Mauritius, 3,000 miles away. People there thought nearby ships were firing their guns. The force of the blast was an estimated Volcanic Explosivity Index of 6, the highest ever assigned except Mount Tambora (more about that later). This is equivalent to 200 megatons of TNT, about 13,000 times the bomb that devastated Hiroshima in World War II. A pressure wave caused by the fourth explosion was recorded on barographs all around the world. This is the blast that ruptured eardrums of victims up to forty miles away. Along with the flying debris and ash, the tsunamis generated by the explosions devastated nearby settlements. No survivors remained on Sebesi Island, about eight miles away. About three thousand people had lived there. No one really knows how many people died. Reports came in up to a year later of skeletons floating on rafts of volcanic pumice, washing up on the east African coast. The tsunamis were reported at more than one hundred fifty feet high in some places. Smaller waves were recorded on tidal gauges as far away as the English Channel. Dutch officals said 165 villages and towns were destroyed and 132 seriously damaged. The following year, the average summer temperatures in the Northern Hemisphere were 1.2 degrees below normal. This was not as extreme as the year 1816, when temperatures averaged 5 degrees below normal, resulting in the “year without a summer” after the eruption of Mount Tambora. Record rainfalls in California fell in 1883-84. 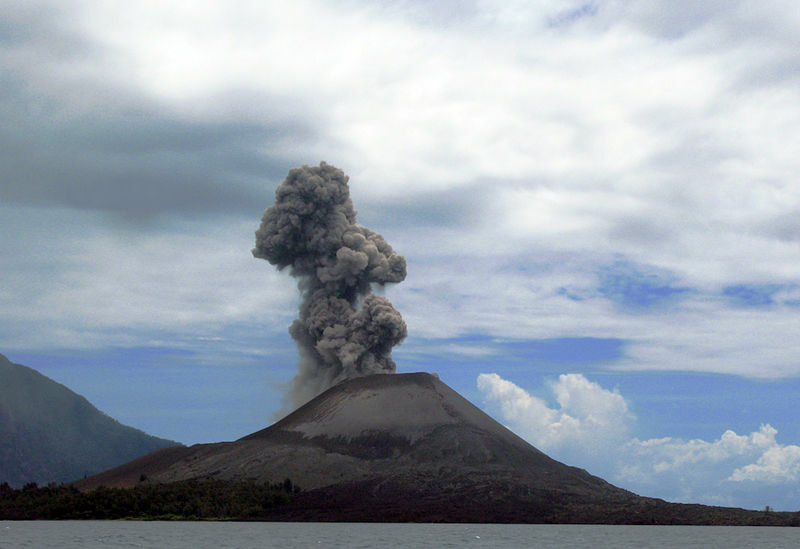 Weather patterns and temperatures did not return to normal for five years after the Krakatoa eruption. The sky was darkened worldwide after the eruption, and extremely colorful sunsets were seen for several years afterward. Some were so bright that fire engines were called out in New York and Connecticut because people thought a structure was burning nearby. People reported seen blue or green moons, and lavender suns. These effects were likely caused by ash clouds in the air. Much more can be read about the causes and effects of the Krakatoa eruption. The island was still steaming in October, but after that was quiet until 1913, when a major landslide from a cliff was at first reported as another, smaller eruption. To enter a drawing for one of Susan's books, leave a comment. The winner will be announced by the end of the month and may choose the book she wants from Susan's book list. Susan Page Davis is the author of more than sixty published novels. She’s always interested in the unusual happenings of the past. 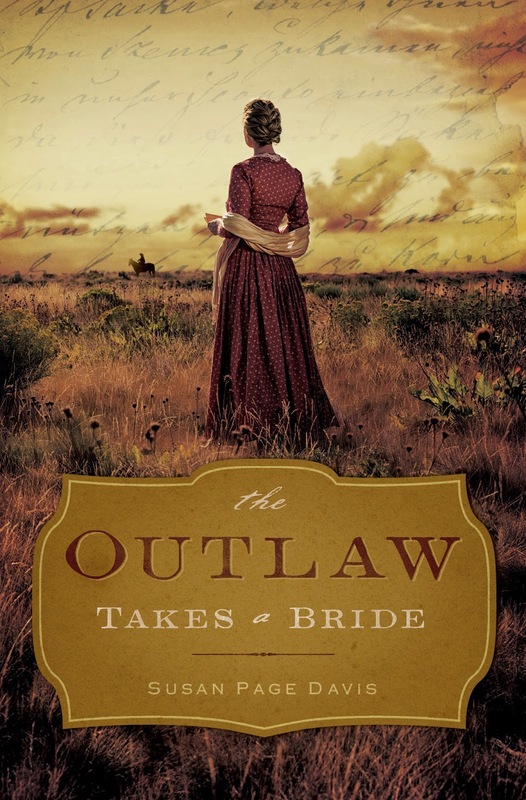 Her newest books include River Rest, Heart of a Cowboy, and Mountain Christmas Brides. She’s a two-time winner of the Inspirational Readers’ Choice Award, and also a winner of the Carol Award and the Will Rogers Medallion, and a finalist in the WILLA Literary Awards and the More Than Magic Contest. Visit her website at: www.susanpagedavis.com . Interesting post! This reminds me of the children's book, The Twenty-One Balloons by William Pene du Bois. He set his story on the island of Krakatoa in the 1880s. A professor landed there and found a fantastic society living on the volcanic island. Just before the volcano erupted, they all escaped on a huge platform that had 21 balloons. The book was published in 1947 and received the Newbery Medal for children's lit. I've always remembered this story, which shows you how powerful the "power of story" is! Yes, du Bois used this as his setting. My kids and I loved The Twenty-One Balloons as well, Donna! One of my favorite parts was the bedsheets on rollers. If only I had that in my house! This is amazing! I've always heard about Krakatoa but never researched it (history nerd fail.....). Thanks for the lesson today, Sue! It would be interesting to see comparisons to more modern-day natural disasters in that part of the world. Thanks for stopping in, Nancy! I am sure things would be different today. For one thing, people would be more prepared because of our scientific instruments and mass communication. But for something that massive, I think it would be impossible to protect everyone, as we've seen with recent tsunamis. Another thing about modern disasters, we are better able to assess the damage with computers, satellite images, etc. interesting train of thought. But it happened between two of the most heavily populated islands in the world (Sumatra and Java). That alone is mind-boggling. Wow! I never knew that volcanoes made such loud noises. I've never heard about Krakatoa before...very frightening. I live in Shasta County, near Mt. Shasta. The thought of it becoming active is always in the back of my mind.....and Mt. Lassen isn't that far away either. Another fascinating post! Thanks for sharing! Wow! What an interesting post! Thank you so much for sharing, Susan. Thanks, Melanie! It was fun to research. I was completely unaware of this historic event. It is hard to comprehend how very loud the noise was and visualise the destruction. Thanks for sharing! I had heard of Krakatoa but I didn't know the whole story. Thank you for sharing, it was very interesting. 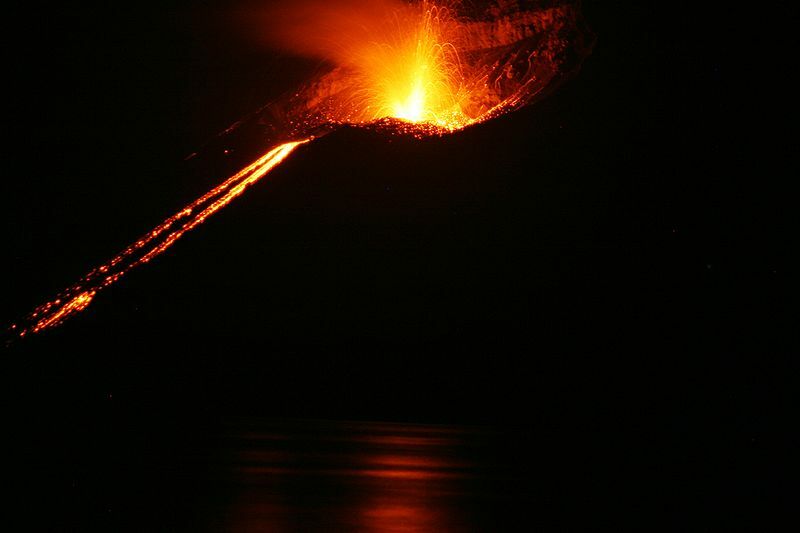 I've never heard of Krakatoa, but it's certainly fascinating history! The closest one to us that I know of is Mt. St. Helens in WA state. Though at the time I lived in Illinois (I was a teenager), we watched it on TV. My husband's family lived in WA at the time about 2 hours away so I'm sure it made it much more real for him. All I remember from the pictures was the ash coverage on the ground, buildings, cars, etc! My husband and I had also visited the Lava Lands visitor center near Bend, OR (Deschutes National Forest). It has a 5.5 mile sun lava paved path to walk, though we didn't walk all those miles! It was quite eery to see nothing but red coated rocks that once was hot lava & burnt brush and trees. Quite a site really! Susan Johnson, you are the winner! I will contact you. Thank you all for taking part in the discussion.